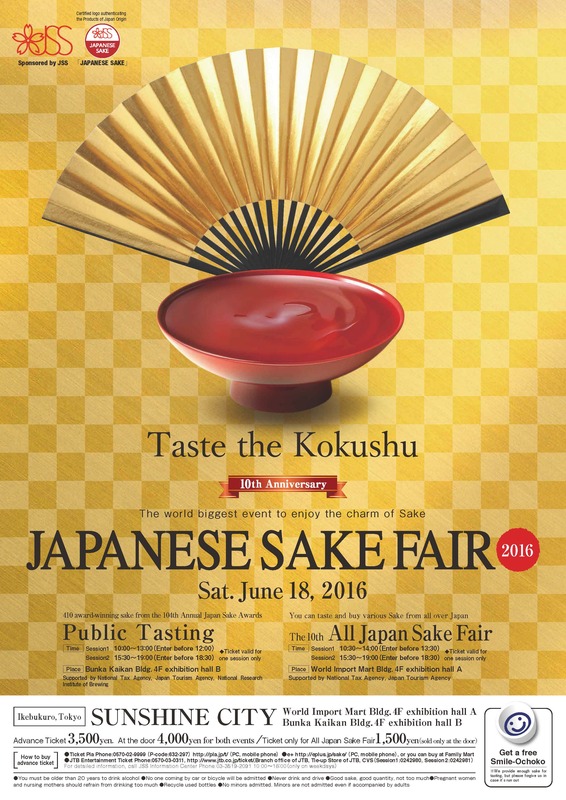 “Japanese Sake Fair 2016″ presented by Japan Sake and Shochu Makers Association will be held at Sunshine City, Ikebukuro Tokyo on Saturday, June 18. This is one of the biggest sake events which you can sufficiently enjoy the sake world in Japan and this is the 10th anniversary! In this event, of course you can enjoy tasting and purchasing sake from 45 prefectures across Japan, and moreover, you can also enjoy some snacks which perfectly go well with sake, and seminars for enjoying sake. Tasting 410 award-winning sake at 104th Annual Japan Sake Awards 2016 is also possible! Why don’t you enjoy tasting the finest fresh sake filled with passion and skill of brewmasters all over Japan and find your favorite? Please enjoy supreme Takashimizu sake that Mr. Kikuchi (Toji of head office brewery) and Mr. Kato (Toji of Goshono brewery) devoted their passion and skill, too!